Are there any authentic Buddhist texts? If so, what are they? These are questions of tremendous spiritual and historical interest, about which there is a range of opinions that often appear to be irreconcilable. 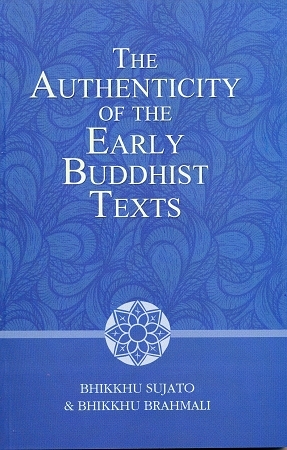 Traditionalists insist that the texts were "spoken by the Buddha" in the most literal of senses, while skeptics assert that we cannot know anything about the Buddha fore certain, and further, that the notion of authenticity is irrelevant or pernicious. What appears to be missing from the discussion of the authenticity and primacy of Buddhist texts is the practical piece of whether the actual teachings lead to the end of suffering in samsara, as this was the purpose of 'all' of the Buddha's teachings, regardless of tradition. Liberation is from the binding or clinging to sense phenomena and objects of the mind that make us suffer, so the texts that incline one toward this end must be thought of as more authentic than those that do not. We cannot hesitate to apply this "does it liberate" test to all Buddhist texts, as the Buddha asks us to, stating in at least in the agamas and nikayas that we should disregard even his own words if they do not end our suffering in samsara. In this sense, being considered 'earlier' or 'authentic' - even if proven - is irrelevant if the text itself does not facilitate spiritual liberation. This is a terrific book. Its authors seek to establish the 'authenticity' of the oldest buddhist texts that we have, being the earliest recorded texts redacted in the language we now call Pali and cross-referenced to parallel texts (the Agamas) in Chinese translations, by reference to their age. This authenticity gives those texts an authority based on the likelihood that they reflected the thoughts of the buddha, Gotama. the book has a polemical intent; against those Western academics who downvalue or devalue the Pali texts, the authors drawn on historical (such as we might know them) events and a range of contextual evidence, e.g. from archeology, to foreground the value of the earliest buddhist texts. It is obvious that the authors are practitioners from a tradition that gives those texts, especially those recorded in Pali, special status, and so this is not an even-handed discussion. Yet drawing on a range of academic/scholarly sources, it does not come across as a 'mere propaganda'. Having some years ago read and been impressed by Gombrich's 'What the Buddha thought', I guess I was not a skeptic at the opening of the book. And to be honest, my own engagement with buddhism is mediated by the Pali texts; so that is my 'pre-judice'. But then I am not infatuated with the bombast that accompanies some of the Theravadin tradition (and more so the non-Theravadin traditions). So I was prepared not to go along with the argument, including not just because of the eminence of the scholar-monks who wrote the book. But the argument is methodical, referenced, consistent. And yes the book also has a nice flow and is a 'good' read. Is it convincing? Buy the book from Pariyatti and decide for yourself. After all, bhikkhus, like tathagatas, only show the way.